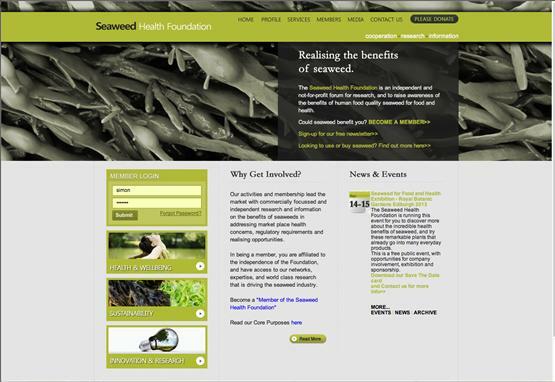 The Seaweed Health Foundation is an independent, not-for-profit forum set up in 2010 by Simon Ranger (Seagreens' founder) with industry and academic partners to promote seaweed standards, research and education. Please take a look at the work that Seagreens is doing with the Foundation to further scientific research into the benefits of seaweed in healthcare, food and nutrition. To view the Seaweed Health Foundation website, please click here.